Believe Dream Create with Maria: Carve a Pumpkin with a Stencil! 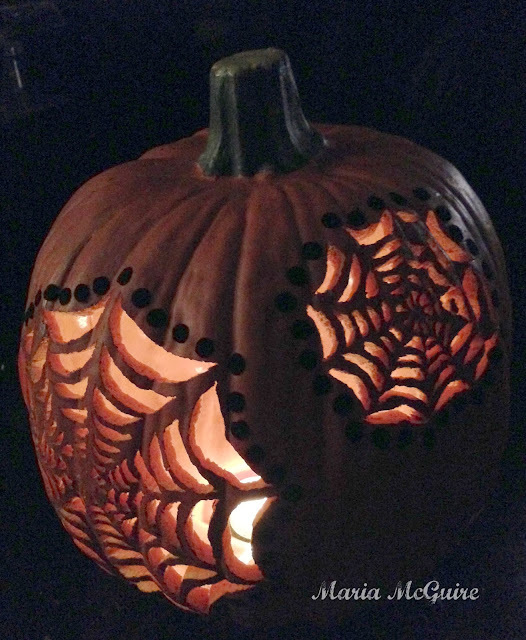 Carve a Pumpkin with a Stencil! My project show today was a pumpkin that I carved using a StencilGirl stencil designed by June Phaff Daley called Spider Web. I thought I'd show you how I did it and what I did with one of the products that Xyron sent us to play with. 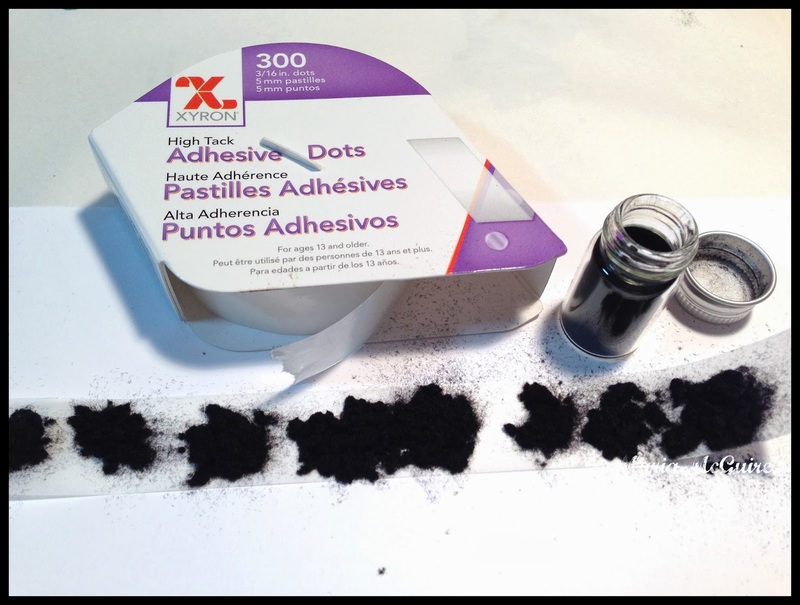 flocking out of my stash and gently rubbed it into the dots. I set those aside and will be using them later. In recent years, I have had so much fun doing this every year with my kids. 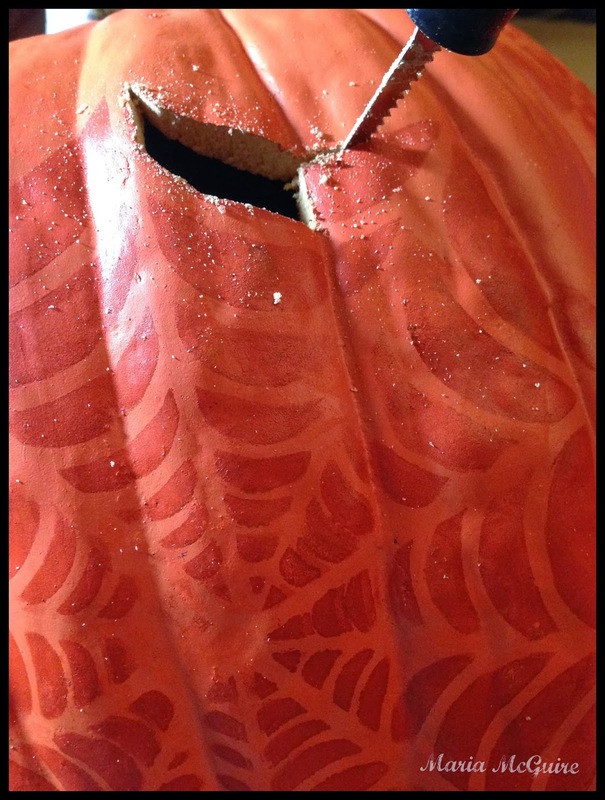 Well, life goes on and now my kids are big and don't really carve with me and I don't really like the mess so a few years ago I changed over to fake pumpkins to carve. I have quite a few of them now. 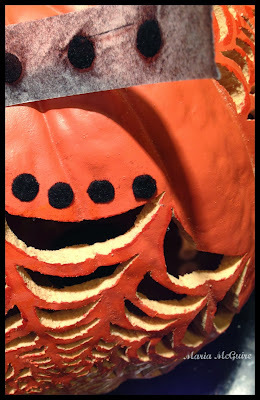 The best part--I get to use them every year and they don't mold! I usually use a 40% off coupon at Michaels or Joann's and this really is a fun, cheap way to get beautiful pumpkins. 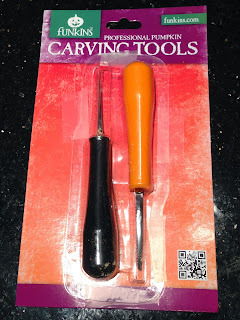 I use the simple carving tools that can be found at the Dollar Store. This year since I am all about StencilGirl stencils and different ways to use them I decided to use a stencil for my annual pumpkin carving. 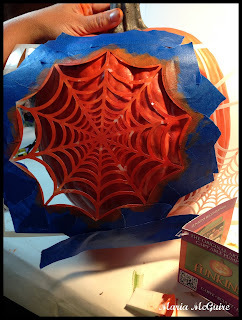 I chose one designed by June Pfaff Daley called Spider Web. 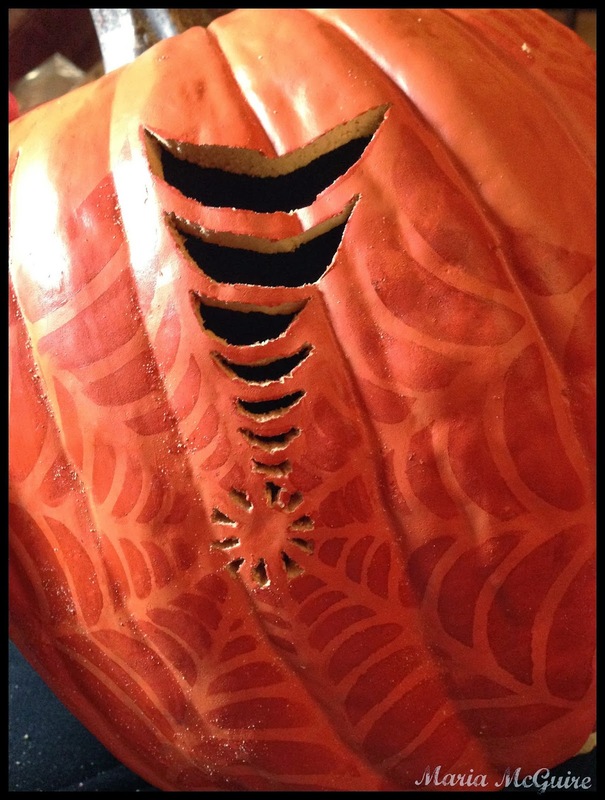 Using painter's tape, I masked off the edges of the stencil I didn't want and taped it to the pumpkin. Using acrylic paint (burnt siena) I stenciled the pumpkin with a cosmetic sponge. I have to tell you...although you would think the smaller spaces are the hardest...the BIG spaces are much harder not to make a mistake and cut where you don't want. Bring back those flocked dots! I hope you enjoyed my carving as much as I did! OMG- Now I can't wait to carve a pumpkin! Had almost decided not to do one this year but not now! 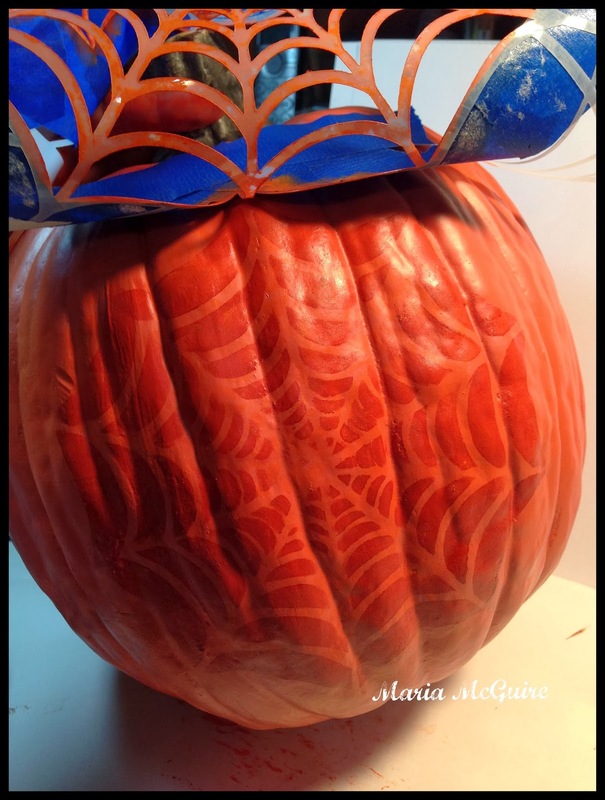 What a cool pumpkin Maria! Spooktacular! Micheal's here I come armed with my 40% off coupon!!! Can't wait to amaze my family and friends! Thanks for the inspiration! WOW - your pumpkin is SO COOL!!! 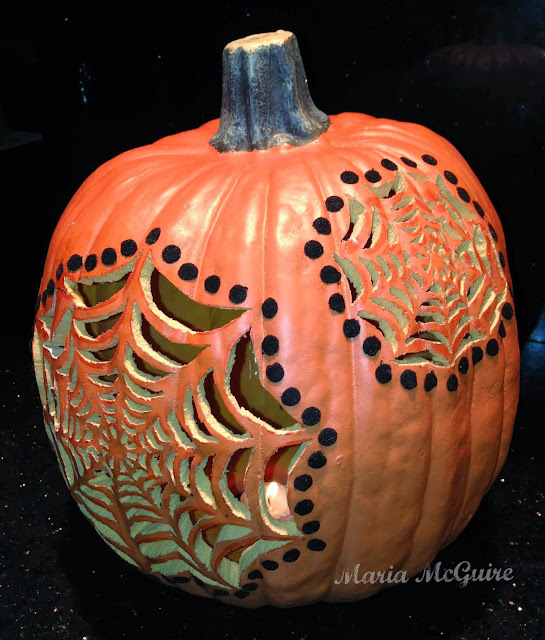 I love love love your pumpkin, Maria! Your creativity never ceases to amaze me!! Are you flocking kidding me? Who knew? This is just eye opening and amazing, Maria. 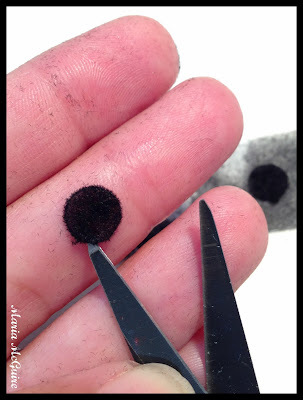 The flocked dot idea is BRILLIANT. I must try this out! That's so neat...and the dots tip is filed away for future reference. Maria, love all of your creative ideas! so much fun to create with all of you Stencil Girls, this week! THis is gorgeous!! It was a blast playing with all of you Stencil Girls this week!! You look like a pro! What a fab idea. Love it! Maria!!!! You're ridiculous!!! I have missed your inspiration!!! HUGS my friend! It's has been too long! Sorry this is a little late but thank you SO much for swapping and hopping with us over at Xyron! :) We had a great time!! !